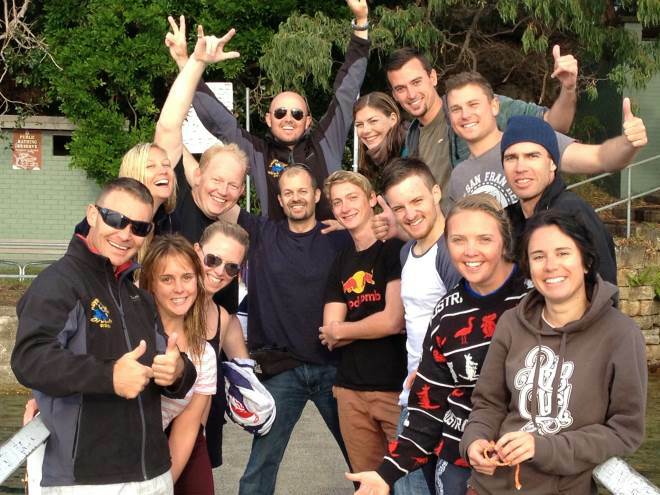 In April 2013 a group of divers came together with a single goal; to become PADI Scuba Instructors. 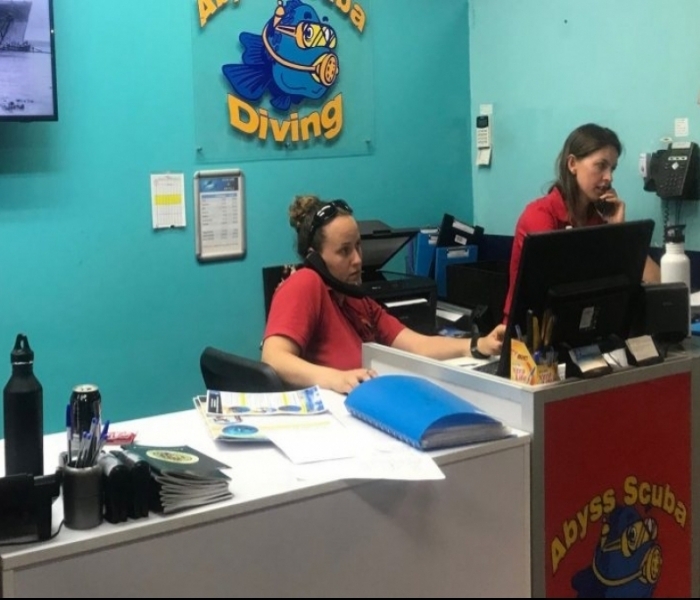 They had come from all over the globe and arrived at Abyss Scuba Diving ready for undergoing one of the most comprehensive Instructor Development Training programs in the industry today. 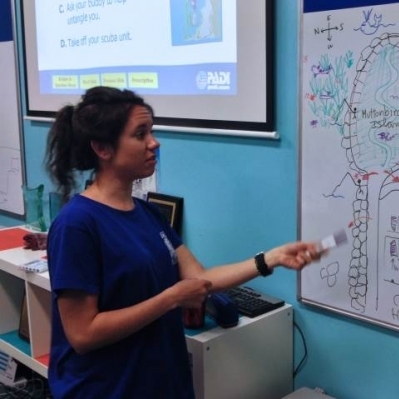 The Dive Instructor Course began with PADI Course Directors Carl Fallon and Peter Letts running an introduction to lay the foundations of the training to come. After that, the candidates progressed through to learn how to run pool sessions and teach skills to new students (obviously mock students at this stage). It was then that all the candidates really began to bond and develop friendships that have lasted well beyond the courses end. 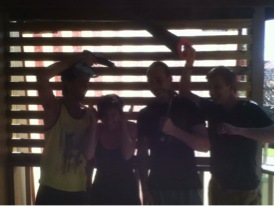 With 14 candidates on the dive instructor course, we were guaranteed a lot of laughs and heck of a lot of fun! 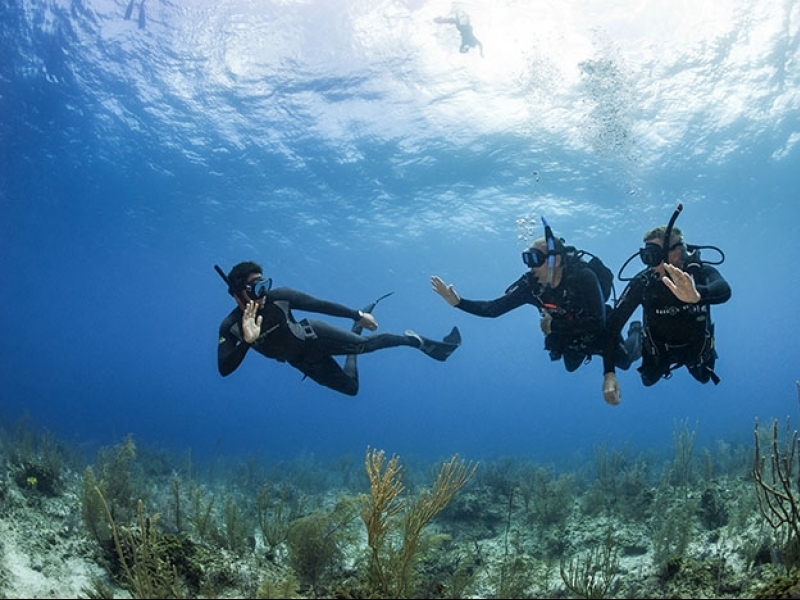 One of the best things about our Platinum PADI Course Director Carl Fallon is that he knows how to make the training engaging and exciting, but at the same time he understands the importance of keeping the groups focus and development on track. 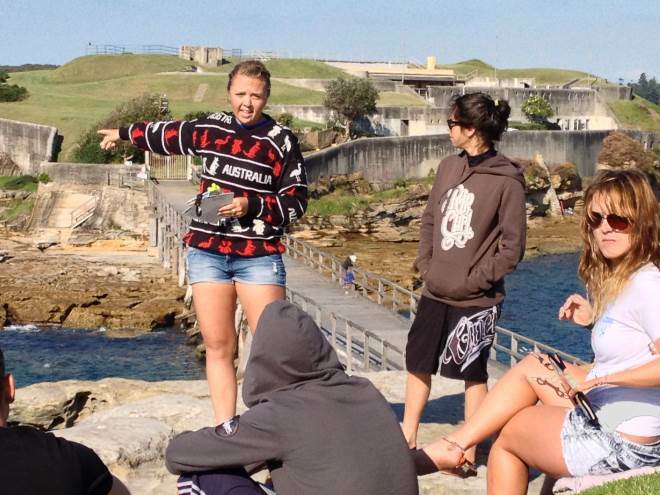 Later in the dive instructor training, the team went to Bare Island, which is located on the Northernmost point of the historic Botany Bay. This is one of the most picturesque places along the Sydney coast and is perfect for developing their skills. During these ocean sessions, they spent time working on rescue scenarios, mock teaching sessions and also had some additional time to develop their own skill set leading up to the Instructor exam. All the candidates really put there all into the dive instructor course and it really showed when they went to the Instructor Exam. Each candidate was confident and really excited to get to the exam and show the examiners just how much work they had been putting in. From the moment they all arrived wearing their red Abyss Scuba Diving T-shirts all you could see was a sea of red in the exam room. The dive instructor exam started off with Dive Theory and Standards & Procedures Exams. This went for 3 hours on the Friday evening and was classroom based. At the conclusion of the evening, they came out one by one and celebrated with each other as they announced their scores to the group. We had all the candidates pass without a glitch. One day 2 of the Instructor the candidates headed to the swimming pool where they had to strut their stuff to the examiners. They began with a skill set to show how well they can perform particular skills. From there, they all had to teach a skill in a mock class setting. Every candidate did extremely well and had progressed to the next milestone in the exam that is day 3, the Ocean session. The Ocean session was run at Shelly Beach at Manly, with the conditions perfect for challenging the new Instructors to be. There was a bit a wind and swell, which really allowed the candidates to draw upon their abilities they developed during the intense instructor training several weeks prior. They were required to run a rescue scenario as well as teach two separate ocean skills in one combined presentation. Nearing the conclusion of the exam they all exit the water, get dressed and pack up and prepare for their debriefings to wrap things up. One by one each candidate it called up to discuss his or her performance with the examiners. It is then that they get the news of pass or fail. In true Abyss Scuba Diving form, we have had yet another 100% pass rate again with this dive Instructor Course. Every candidate getting the shake of approval from the examiners and returning to the swam of Abyss Scuba Diving candidates at another successful dive instructor course. A BIG well done goes out to all out the new Instructors in the latest PADI Dive Instructor Course, as well as to all our dedicated staff who helped mentor the candidates throughout the Dive Instructor training. Thanks goes out specifically to PADI Course Directors Peter Letts & Carl Fallon, PADI Master Instructors Jamie Miller & Samantha Patterson-Ross for all their help and guidance they gave the team over the weeks of dive instructor training. A special mention must also be made for Kim Mangan, our newest PADI IDC Staff Instructor who completed her training during this dive instructor course. She was instrumental in helping mentor the candidates and spent countless late nights helping hone their skills in theory and practical leading up to the exam.